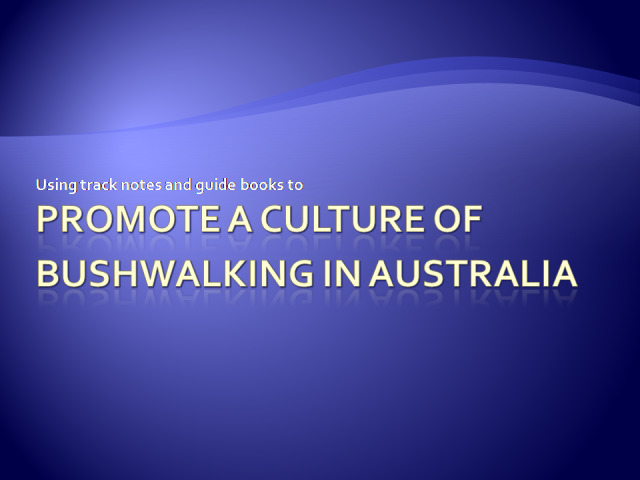 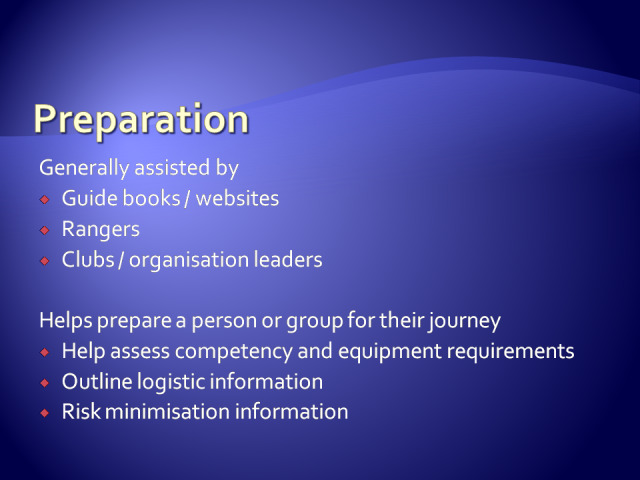 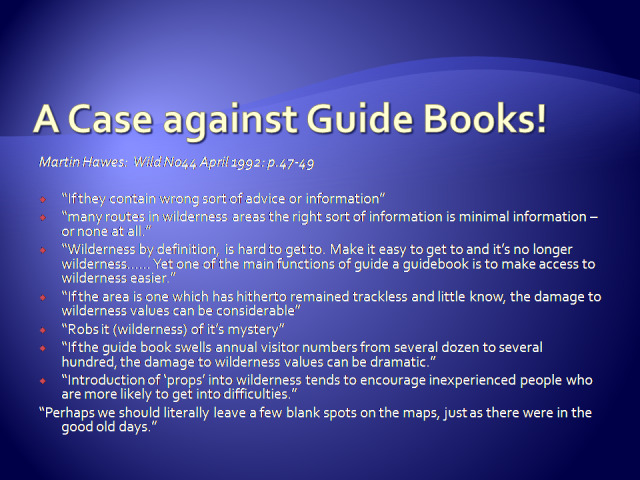 Using track notes and guide books to promote a culture of bushwalking in Australia. 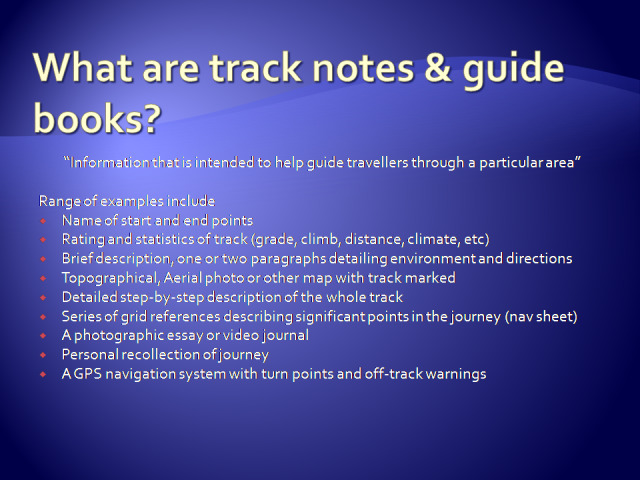 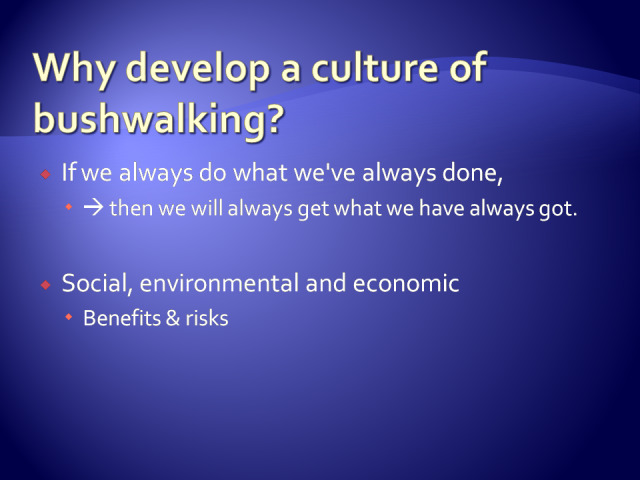 This slide show explores ideas on how we can help promote a culture of bushwalking in Australia using tracknotes and Guidebooks. 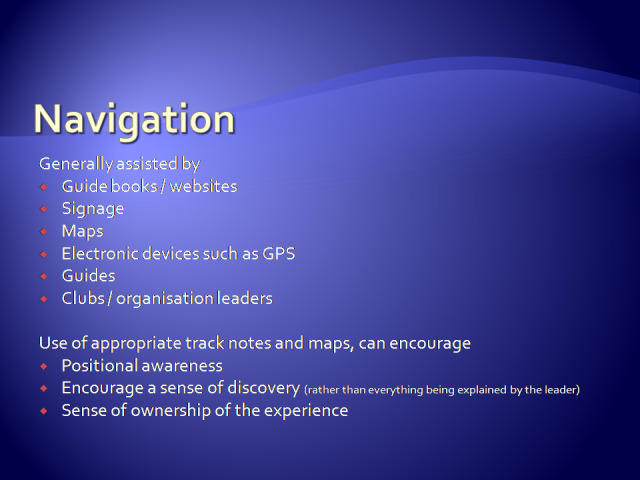 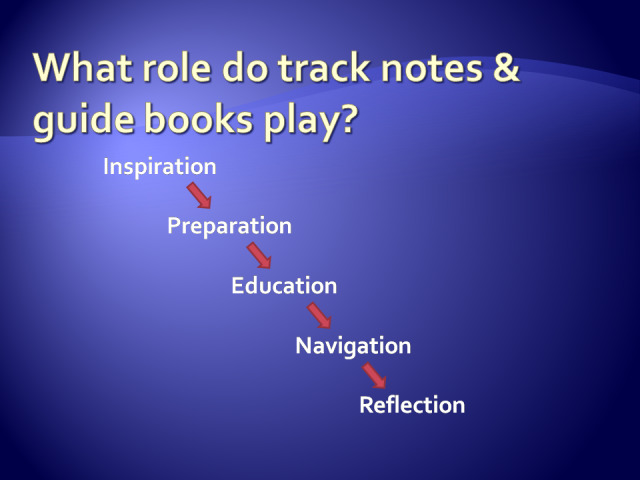 The truth be known the tracknotes and guide books do not change a culture. 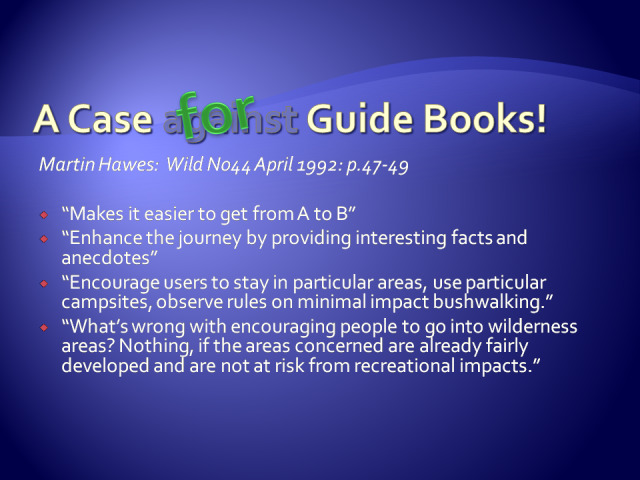 Quality documents on a wide range of trail experiences can help make bushwalking more appealing to a wider range of people. 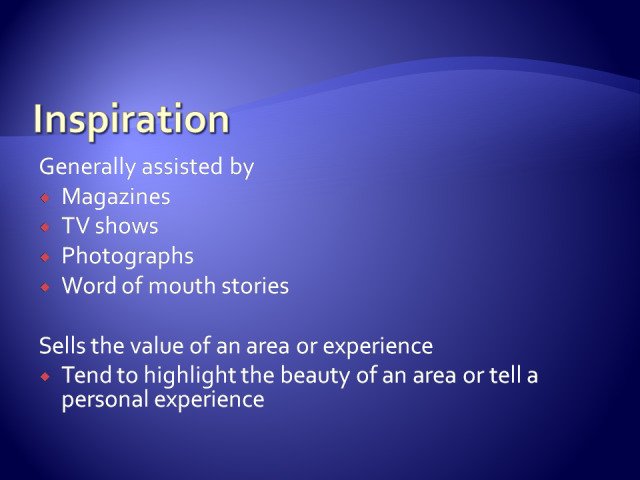 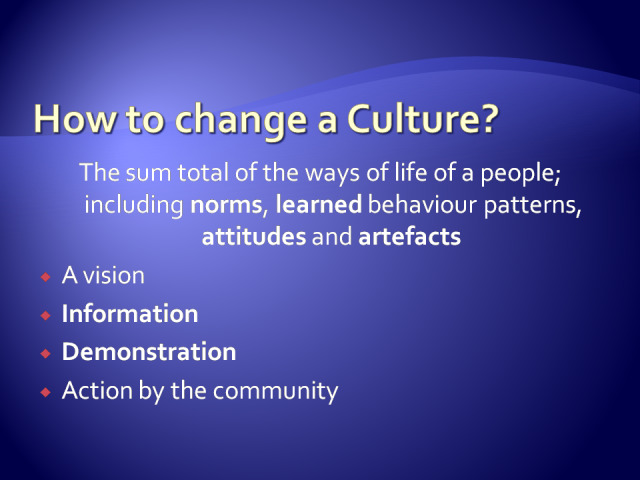 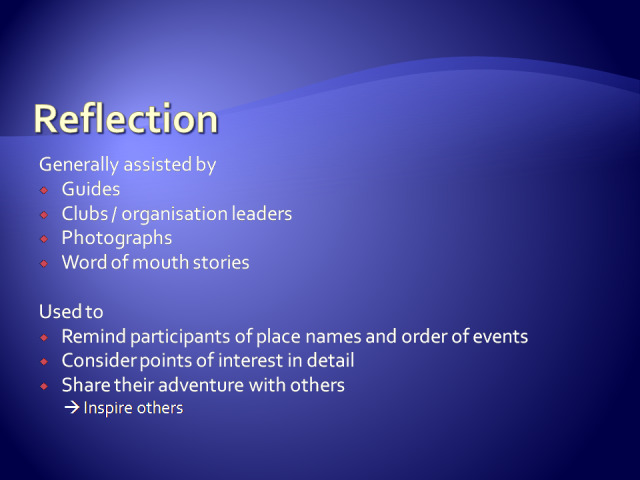 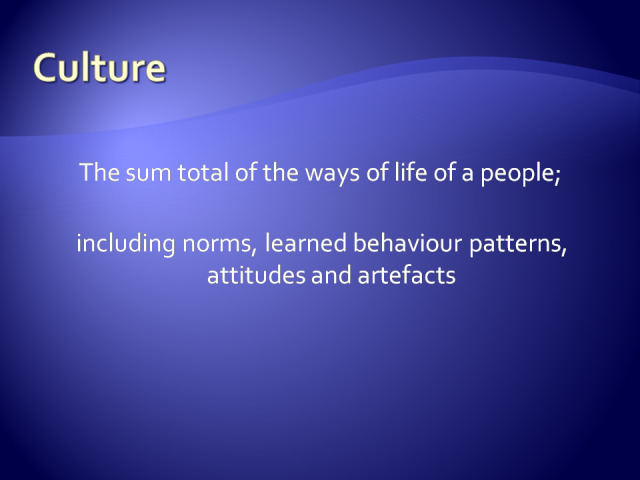 To change cultures requires a vision, access to quality information, leadership and action by the community. 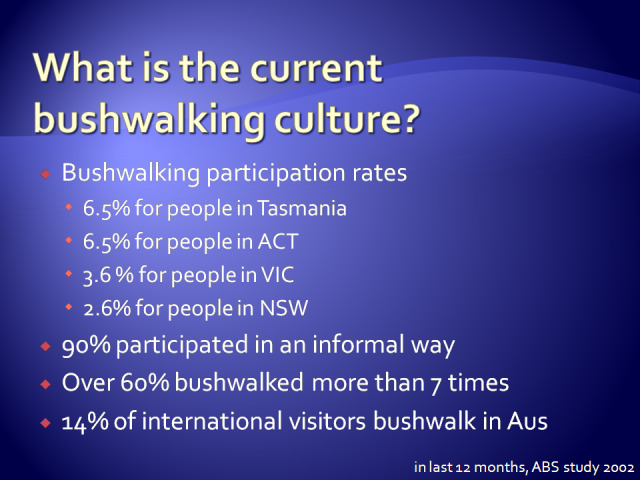 I hope that this helps spark some interest in helping making the bush a greater part of our culture in Australia.